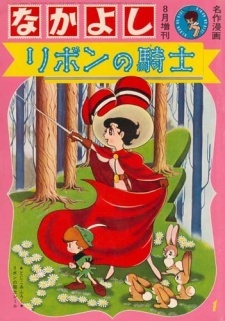 A remake of the original Ribbon no Kishi, and the much more well-known version of the story. Taking place in a medieval fairy-tale setting, Princess Knight is the story of young Princess Sapphire who must pretend to be a male prince so she can inherit the throne (as women are not eligible to do so). This deception begins as soon as she is born, as her father the King announces his baby is a boy instead of a girl. The reason for this is that the next-in-line to the throne, Duke Duralumon, is an evil man who would repress the people if he were to become king, and because of this the King will go to any length to prevent him from taking over.